Shop electronics online at IdeaMart in Pakistan at reasonable cost and discounts. 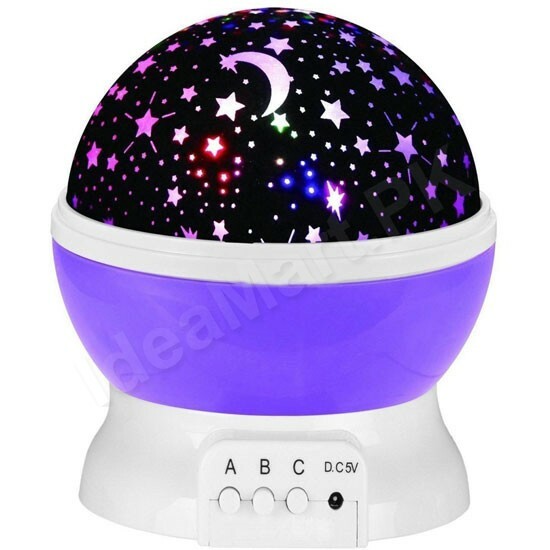 This color changing night lamp will fill your ceiling with glowing stars, can be used as a decorative piece or night lamp. Its a perfect gift for your kids. Indoor Decoration: This night lamp is multipurpose for wedding, birthday party, and festival celebration or any occasion you want as a decorative night light, creating a special and romantic atmosphere in your bedroom or other indoor use. Star Projector: The stars were cast on the ceiling when the light on, showing an unforgettable night you can share with you family or friends. With removable white dome, you can operate it as a night light or projection show of the moon and stars. Three Buttons: Customize the night light in your style with 8 modes. Button A shows steady warm white light; B changes the colors from one to multiple colors; C rotation switch, press again to turn it off. 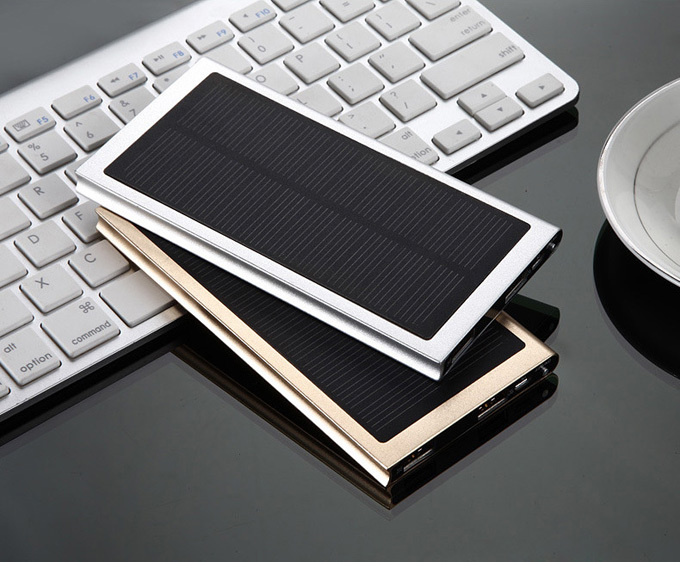 Power Way: Powered by 3*AAA batteries or USB cable on your computer or power bank. Please note that the USB cable and the batteries cannot be used at the same time. Batteries are NOT included. 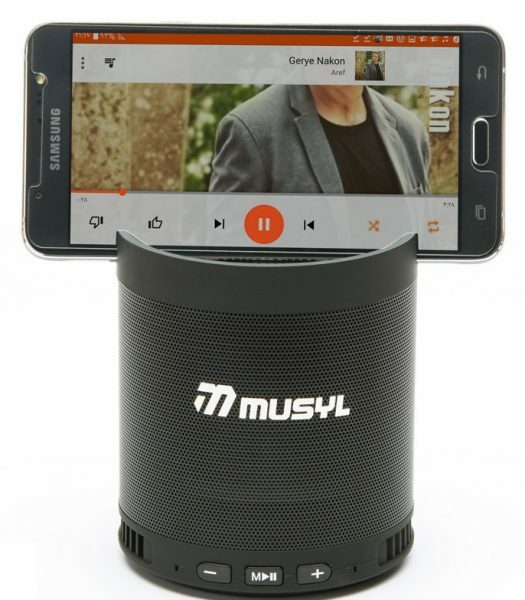 Musyl mini bluetooth speaker can play music from bluetooth compatible devices, built-in FM radio, USB and SD card. 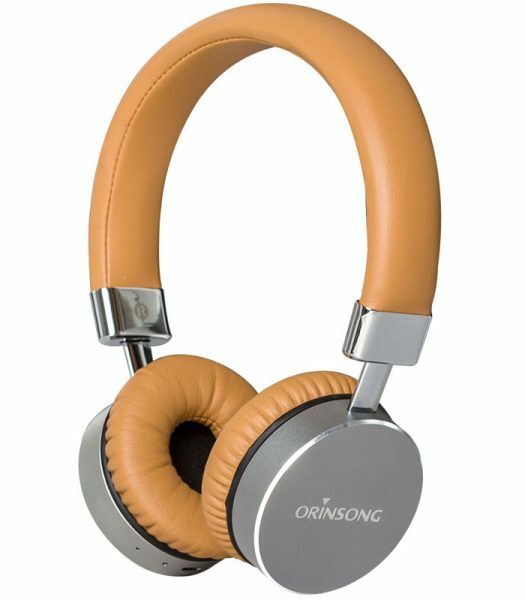 Enjoy the best sound quality wirelessly.